Are you a John Wayne fan? If so, sure hope you will not feel disappointed when I say that I do not share your admiration. I am not a John Wayne fan at all. Sounds un-American, but it’s the truth. Never really liked John Wayne movies, particularly when he portrayed a person in the military because he never served. Some want to imply or hint that he was a draft-dodger. I would feel uncomfortable taking it that far. Besides, many think that the roles he played as a person serving in the armed forces of the United States was great for the morale of the real soldiers. So dissing him for not serving would be kind of unfair because boosting the morale of a soldier far away from home is an admirable service and an act of patriotism. At any rate, this article is not about Mr. Wayne. It is about war movies. Read on. 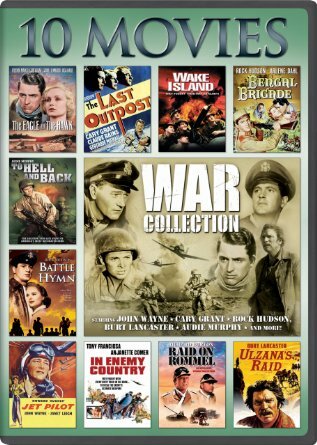 When trying to compile a listing of war movies that left a mark in my memory, since I grew up during the Vietnam era, The Green Berets (1968), made my initial list. However, it was subsequently eliminated. The Green Berets, which starred John Wayne, is about the war in Vietnam. It was taken off my list on account of I could not think of any memorable quotes. On the other hand, the words in theme song were memorable. Seven (7) movies did make the cut (by my standards). Top Vietnam War Movies - have you seen them? * * NOTE: This content first appeared at Webnuggetz.com, Mar 2014.